The National Marine Fisheries Service announced Tuesday that they rejected a petition to list the Pacific bluefin tuna as an endangered species. A long list of environmental organizations combined efforts to submit a request in June 2016 for the species to be protected under the Endangered Species Act. These groups are vastly disappointed in the decision, and argue that bluefin tuna—a luxury sushi item in high demand globally—are in fact endangered as their populations are at just 3 percent of what the stock once was. Alternatively, The Billfish Foundation was glad to see that a highly prized game fish will remain accessible to recreational anglers. 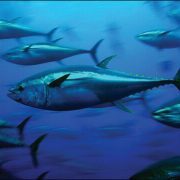 Although NMFS was considering the option of listing Pacific bluefin tuna on the ESA, the nation’s fishery service concluded after reviewing the petition and stock details that the species is on a positive trajectory. 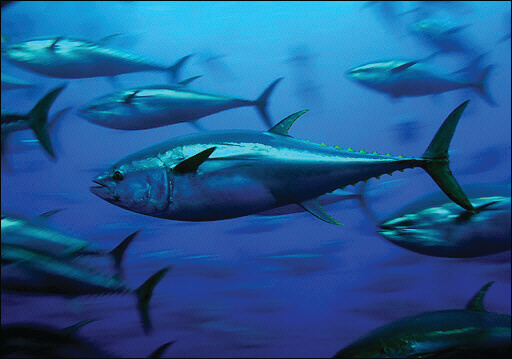 In 2013 the Inter-American Tropical Tuna Commission, which manages tunas and tuna-like species in the Pacific Ocean, adjusted the overall catch limit for bluefin, reducing the commercial catch for 40% as well as the recreational bag limit from 10 fish per day to two with a maximum of six fish. It’s important to note that the Endangered Species Act is national legislation that only applies in the United States. While the bluefin tuna may have severely reduced populations, it is not likely that listing it under the ESA will result in any significant conservation as just five percent of the stock occurs in U.S. waters. High demand for the fish in other parts of the world (Japan, South Korea, etc.) is driving its declining numbers and high price. If conservation measures are to be implemented it must be done at the international level where those heavily fishing for bluefin can be controlled.